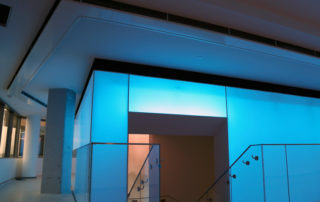 So far InteriorTech has created 3 blog entries. 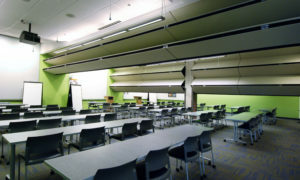 Training centers thrive in adaptable spaces that best support the desired learning environment. How does a facility create sound controlled convertible spaces while conserving the most floor space? 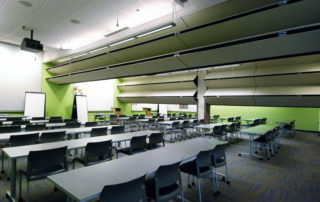 For a local university training center, the answer was Skyfold Vertical Powerlift Partitions. 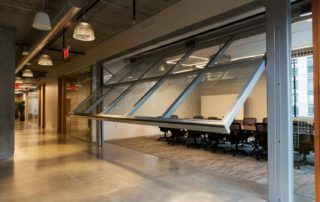 Skyfold partitions provide several key advantages for the training center. Often, the most difficult component to provide is Smoke Control. The smoke control system must be engineered specifically for each project and can vary greatly depending on the layout of an atrium and the fire hazards contained therein. The goal of the smoke control system is to maintain a tenable environment for building occupants. This typically includes maintaining the smoke layer 6’ above the highest occupied floor for 20 minutes.